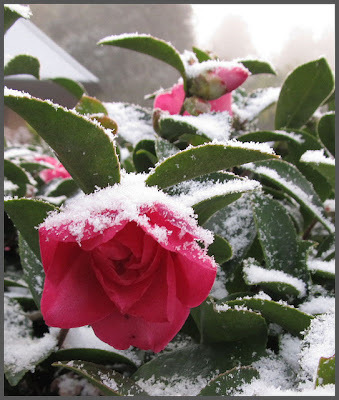 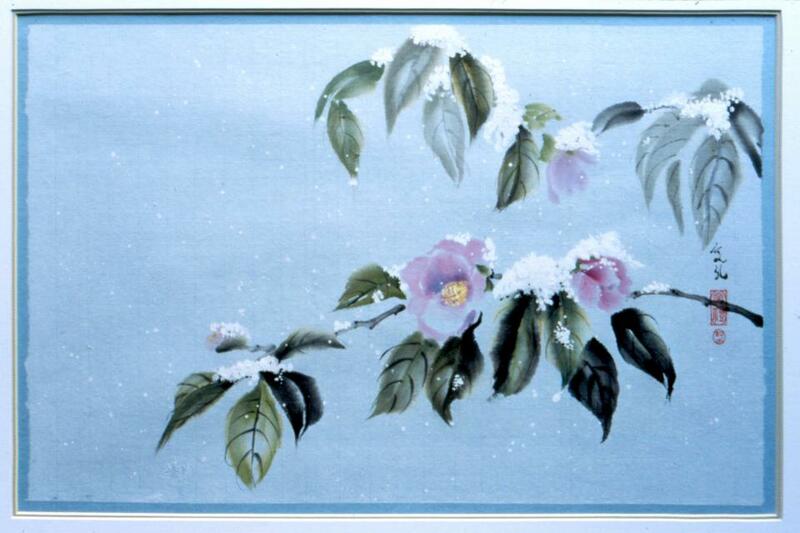 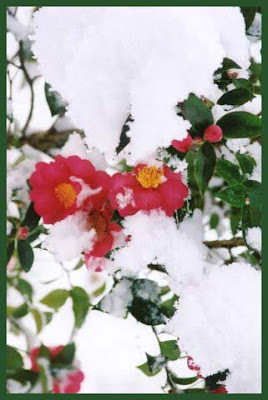 frost and camellia collide . . .
. my Facebook Friends .
. my Photo Album of First Snow . 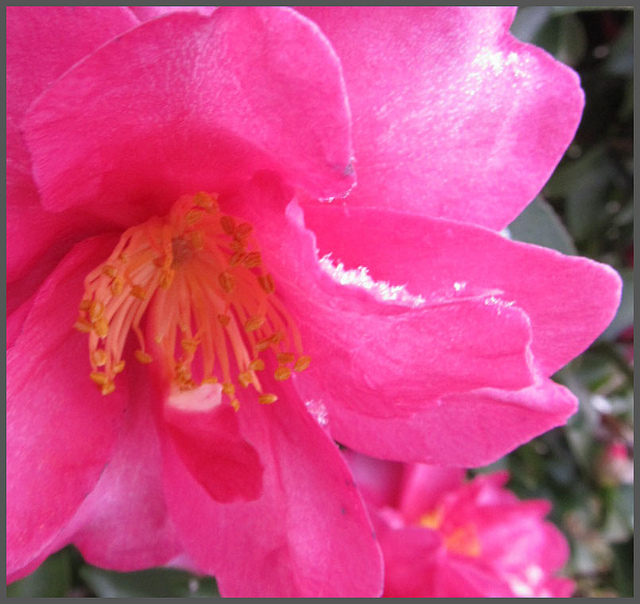 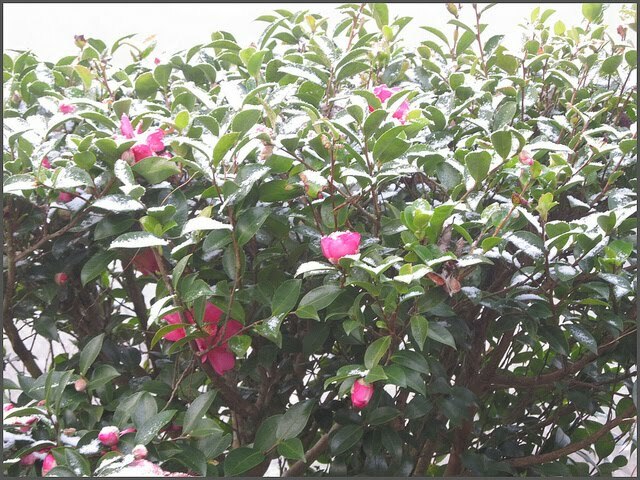 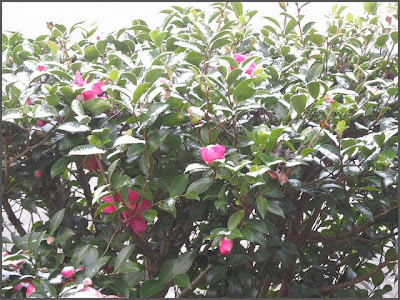 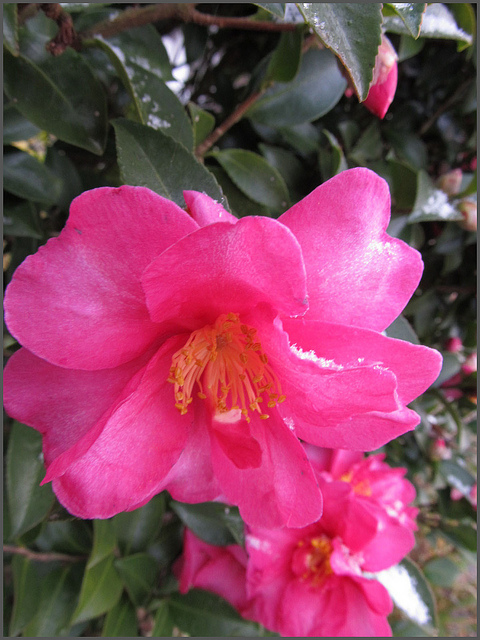 tsubaki Camellia and Sasanka are tough ones, they flower all winter in my garden and in Japan.
. WKD : tsubaki つばき　椿 Camellia .